To compare the tissue damage, operation times, blood loss, short-term postoperative complication rates, and hospitalization durations of abdominal hysterectomies performed due to benign gynecological conditions using the LigaSure vessel sealing system (LVSS) and conventional suture ligation. Materials and methods: Patients were prospectively enrolled in LVSS (TAH-L group, 22 cases) and suture ligation (TAH-S group, 31 cases) groups. Anesthesia time, operation time, intraoperative blood loss, intraoperative and short-term postoperative complications, and hospitalization durations were compared between the groups. Tissue damage was assessed by comparing changes in C-reactive protein, creatine phosphokinase levels, and white blood cell counts on preoperative and postoperative days 1 and 2. Blood loss was further evaluated by comparing changes in hemoglobin (Hg) levels on preoperative and postoperative days 1 and 2. Results: Operation time, blood loss, postoperative short-term complications, and hospitalization durations were similar in the TAH-L and TAH-S groups. Changes in the biochemical markers of tissue damage and Hg levels were also similar in the groups. Conclusion: The LVSS is safe and leads to similar tissue damage as the conventional suture ligation technique in abdominal hysterectomies performed due to benign gynecologic conditions. Abboud B, Sleilaty G, Braidy C, Melkane A, Nasr F. Th yroidectomy in patients at high-risk of bleeding: can it be safely performed? Minerva Chir 2009; 64: 565-71. 6. Ettinger JE, Ramos AC, Azaro E, Galvao-Neto MP, Mello CA, Galvao MS et al. Staplerless laparoscopic gastric bypass: a new option in bariatric surgery. Obes Surg 2006; 16: 638-45. Phillips CK, Hruby GW, Durak E, Lehman DS, Humphrey PA, Mansukhani MM et al. Tissue response to surgical energy devices. Urology 2008; 71: 744-8. Atabekoglu C, Sönmezer M, Güngör M, Aytaç R, Ortaç F, Ünlü C. Tissue trauma in abdominal and laparoscopic-assisted vaginal hysterectomy. J Am Assoc Gynecol Laparosc 2004; 11: 467-72. Ellstrom M, Bengtsson A, Tylman M, Haeger M, Olsson JH, Hahlin M. Evaluation of tissue trauma aft er laparoscopic and abdominal hysterectomy: measurements of neutrophil activation and release of interleukin-6, cortisol, and C-reactive protein. J Am Coll Surg 1996; 182: 423-30. Richardson EH. A simplifi ed technique for abdominal panhysterectomy. Surg Gynecol Obstet 1929; 48: 248-51. Lakeman M, Kruitwagen RF, Vos MC, Roovers JP. Electrosurgical bipolar vessel sealing versus conventional clamping and suturing for total abdominal hysterectomy: a randomized trial. J Minim Invasive Gynecol 2008; 15: 547-53. Hagen B, Eriksson N, Sundset M. Randomised controlled trial of LigaSure versus conventional suture ligature for abdominal hysterectomy. BJOG 2005; 112: 968-70. Macario A, Dexter F, Sypal J, Cosgriff N, Heniford BT. Operative time and other outcomes of the electrothermal bipolar vessel sealing system (LigaSure) versus other methods for surgical hemostasis: a meta-analysis. Surg Innov 2008; 15: 284-91. Elhao M, Abdallah K, Serag I, El-Laithy M, Agur W. Effi cacy of using electrosurgical bipolar vessel sealing during vaginal hysterectomy in patients with diff erent degrees of operative diffi culty: a randomised controlled trial. Eur J Obstet Gynecol Reprod Biol 2009; 147: 86-90. Kyo S, Mizumoto Y, Takakura M, Hashimoto M, Mori N, Ikoma T et al. Experience and effi cacy of a bipolar vessel sealing system for radical abdominal hysterectomy. Int J Gynecol Cancer 2009; 19: 1658-61. Petrakis IE, Lasithiotakis KG, Chalkiadakis GE. Use of the LigaSure vessel sealer in total abdominal hysterectomy. Int J Gynaecol Obstet 2005; 89: 303-4. Silva-Filho AL, Rodrigues AM, Vale de Castro Monteiro M, da Rosa DG, Pereira e Silva YM, Werneck RA et al. Randomized study of bipolar vessel sealing system versus conventional suture ligature for vaginal hysterectomy. Eur J Obstet Gynecol Reprod Biol 2009; 146: 200-3. Ding Z, Wable M, Rane A. Use of Ligasure bipolar diathermy system in vaginal hysterectomy. J Obstet Gynaecol 2005; 25: 49-51. Cakan A, Yoldas B, Samancilar O, Ertugrul V, Turhan K, Cagirici U et al. Ligasure vessel sealing system versus harmonic scalpel for sutureless nonanatomical pulmonary resections in a rabbit model. Which one is safer? Eur Surg Res 2009; 43: 24-8. Landman J, Kerbl K, Rehman J, Andreoni C, Humphrey PA, Collyer W et al. Evaluation of a vessel sealing system, bipolar electrosurgery, harmonic scalpel, titanium clips, endoscopic gastrointestinal anastomosis vascular staples and sutures for arterial and venous ligation in a porcine model. J Urol 2003; 169: 697-700. Laurell CG, Zetterstrom C. Eff ects of dexamethasone, diclofenac, or placebo on the infl ammatory response aft er cataract surgery. Br J Ophthalmol 2002; 86: 1380-4. ISNAD TÜRKÇÜOĞLU, Ilgın , KAFKASLI, Ayşe , DOĞAN, Çağdaş , TANRIKUT, Emrullah . "Tissue damage in abdominal hysterectomy performed with a vessel sealing system". 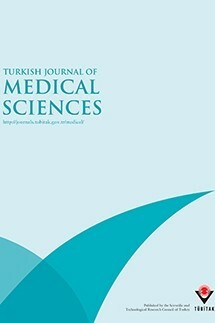 Turkish Journal of Medical Sciences 42 / 3 (March 2012): 471-476.